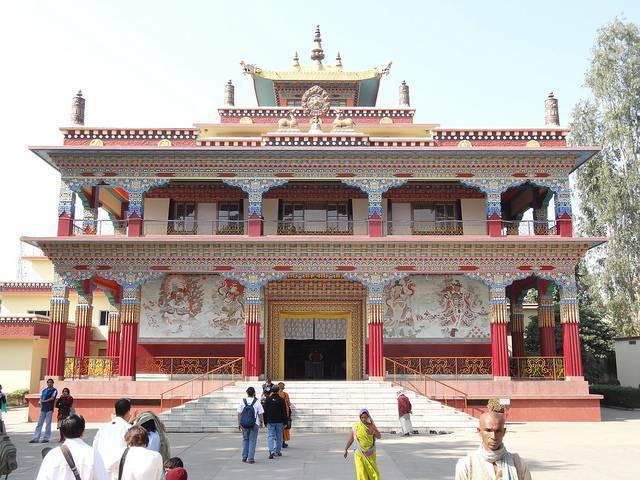 Tibetan Monastery in Gaya was established in 1938 and is across the road from Mahabodhi Temple. A huge 'dharmachakra' is housed within the monastery, which is said to free one of all the mortal sins. The monastery also has an image of the future incarnation of Lord Buddha (Maitreya Buddha). It is a peaceful and serene monastery with pictures, murals and artifacts of Tibetan Buddhism.